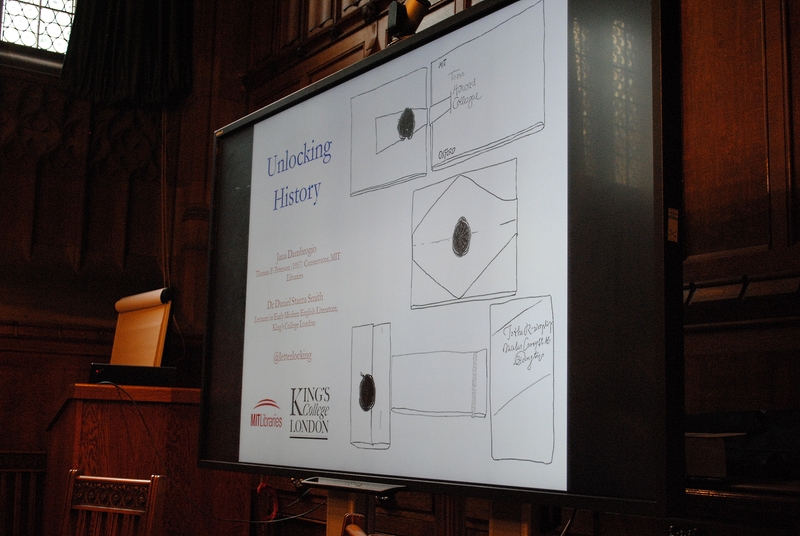 History and introduction to letterlocking. Starting with some history and background context, we learned that within the 1440 to 1944 time-frame, up to 75 different ways of folding letters have been recorded. Specific ways of folding letters can be linked to specific individuals, but one person can also use different variations on the fold depending on the type of letter (business letters, love letters, or friendship letters) to be sent! Some letters show evidence of “planning”, leaving blank spaces in preparation of some folds or seals to be applied later, or not. And in practice? How can you “reverse” the fold in an open, historic document? Obviously, the original is not to be touched or played with when it comes to understanding how a letter was previously locked. So what’s the trick? Jana demonstrated how, using a blank piece of paper of the same dimension of your item, and by carefully studying every single mark or fold and reproducing them on your dummy, you could go back in time and solve the mystery. During the following session we discussed letter security. Of course, a damaged seal would be a quite obvious way of a breaking in a private letter. There is more to look for, such as, changes in chain lines in the paper used for the lock and the main body of the letter, mismatching pieces of paper between the lock and the letter, impression in the paper that is different from the current visible seal on the letter…and so much. If you know how to proceed, your letter could become a high-security vault for your message! 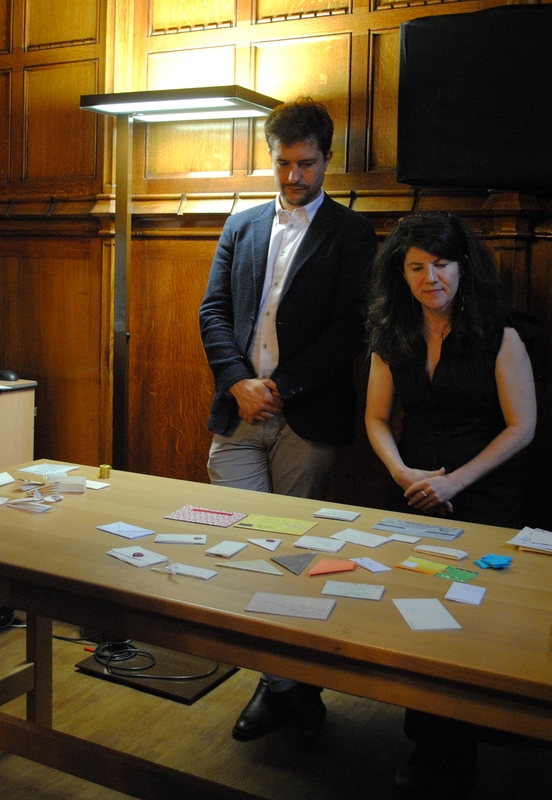 Time for us to play; Jana and Daniel had prepared for each participant a beautifully crafted package with four letters, each sealed in a different way. Using these as practical examples, we opened them up, discussed about their mechanic and security level, before reproducing them following the tutors’ detailed explanations. At the end of this session, we could also have a go at sealing our models with wax, using various stamps. The last part involved a discussion around multiple examples of locked letters, created by queens, kings, soldiers and… basically everybody. Creative, elegant, complex, the variations are endless, depending on the individual. Last discussion around multiple examples. I would like to thank Jana Dambrogio, Dr Daniel Starza Smith, the John Rylands Research Institute and the University of Manchester for conducting this workshop and allowing me to attend it.